Home Informative What is Chlorophyll? It is pretty common these days to come across everything from toothpaste to dietary supplements that contain chlorophyll. So what is these weird stuff, and should we care? 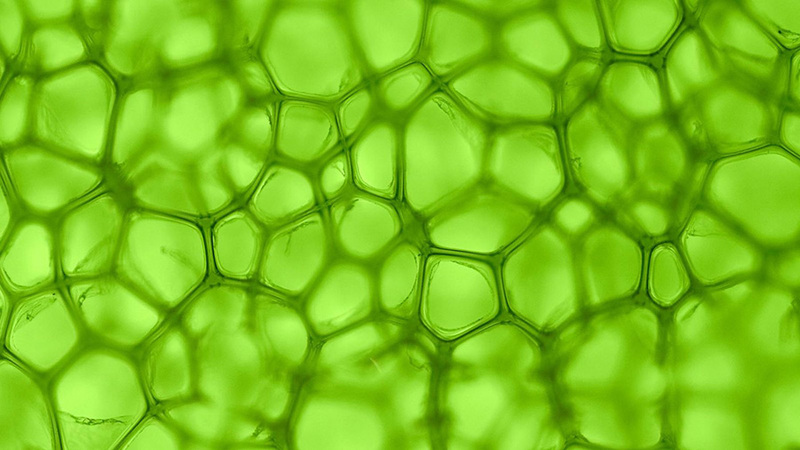 Chlorophyll is a large molecule that is found in the green parts of all plants. Indeed, it is chlorophyll that gives plants their typical green color, just as haemoglobin gives blood its red color. In fact these two molecules are very similar to each other, but where haemoglobin contains iron, chlorophyll contains magnesium. Chlorophyll functions in plants in the process of photosynthesis, trapping the energy in light and making that energy available to the plant so that it can manufacture sugars from carbon dioxide. 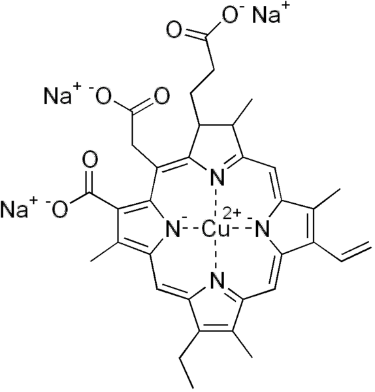 Oxygen is releases as a by-product of this reaction. Since the world as we know it depends on oxygen, we depend on green plants and their chloropyll to keep producing that oxygen. It’s hard to say for sure, but without plants, the oxygen in the atmosphere right now might last thirty years or so. So plants are vital for our survival. A large part of the oxygen in the atmosphere comes from marine algae, not land plants, so the oceans are important too. We eat chlorophyll every time we eat green, leafy plants, so we know for sure that it is not harmful, but does chlorophyll have any health benefits? A cup of raw spinach gives us about 25 mg of chlorophyll, but since it is not soluble in water, but fat, it is retained in the body. Natural chlorophyll is not stable when extracted from plants, so most dietary supplements use chlorophyllin, a manufactured, more stable form that seems to have similar properties. Doses as a supplement are usually 100 – 200 mg a day, an amount hard to get from food. The Linus Pauling Institute has done research and conducted studies on the possible health benefits of chlorophyllin supplements. They found that it is effective as an internal deoderant, reducing odour, making it very helpful for people who have had intestinal surgery such as colostomies. It also helps in wound healing and is combined with papaya juice to treat slow-healing wounds, like skin ulcers, where it reduced inflammation and helps the natural healing process. More importantly, there is evidence it may help the body avoid cancer-producing substances by binding with them and making them harmless. One area where this is well-studied is with aflatoxin, a carcinogen produced on mouldy grain and peanuts. A supplement may be useful where people cannot avoid exposure to aflatoxin. Chlorophyll and chlorophyllin bind with this nasty chemical and allow the body to remove it. Chlorophyll may also bind with other carcinogens and there is some evidence that it may slow or stop the growth of cancer cells. There is some evidence that supplements may reduce cancer, but in the presence of high carcinogen levels, they actually increased cancer rates when tested on rainbow trout. The effect on humans is not clear. Although many claims are made, hard evidence is not yet available. One problem with supplements is that chlorophyllin is soluble in water, while natural chlorophyll is not. So it is quickly excreted by the kidneys and can turn pee green, while natural chlorophyll is not water-soluble and remains in the body. So chlorophyll is not just a tongue-twister word, but a vital chemical in every green plant and one that has made, and continues to make, the planet that we know and depend on for our survival. We can never forget that plants are not just pretty things to look at and anything we can do, from planting trees to protecting natural forests, in the end helps us survive and makes our earth a better place to be.